Fool-proof, roasted chicken. The secret? Brine it. I love an easy, fool proof recipe. 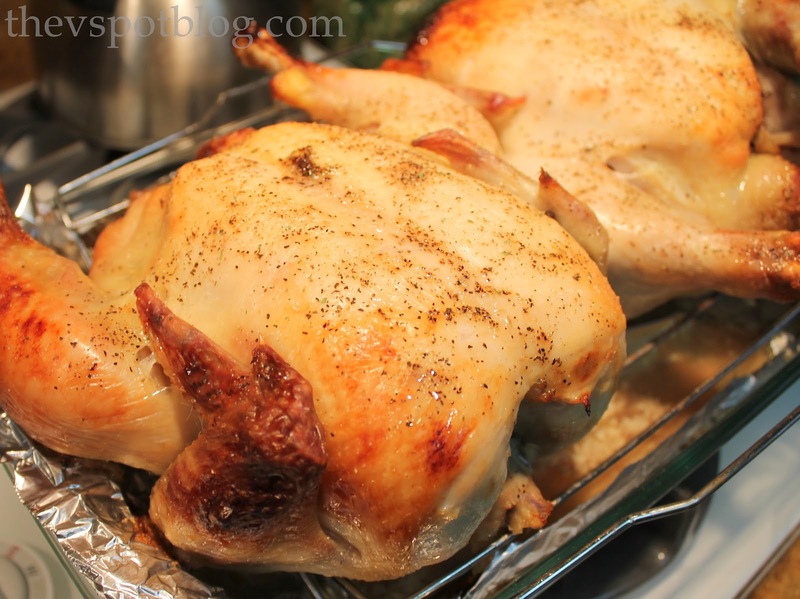 Have you ever used a brine for chicken or turkey? No? Well, it’s about time that you gave it a try, don’t you think? I love this so much because it is absolutely fool-proof. There is no way you can roast this chicken and over-cook it and dry it out. Even if you “can’t cook” you can make this. The secret is to brine it. Brine is basically a salt solution that you soak the chicken in before you bake it. There are tons of variations on it, but here’s what we do. Toss in the remaining ingredients and stir. Add the chicken(s). Add more water until the chickens are completely submerged. The next part is even easier than throwing the brine together. Grab a Pyrex, line it with foil, add a roasting rack and preheat the oven to 375 degrees. If it looks like the skin is browning a bit too much, grab a piece of foil and tent it as it is cooking. Let it stand for about 10 minutes. The meat should practically fall off the bones as you carve it. 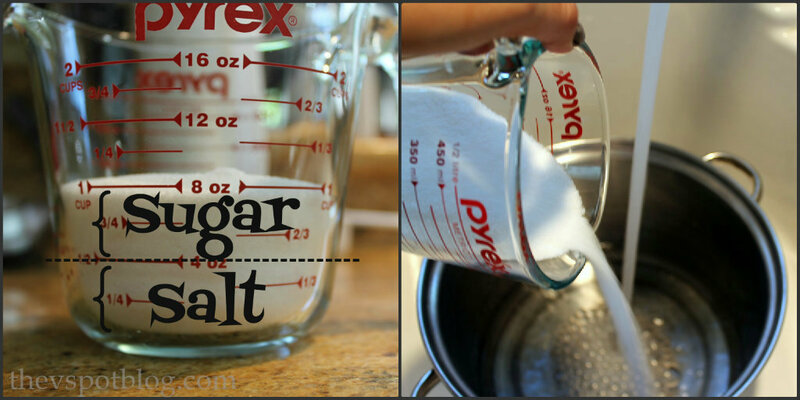 I promise, you will be amazed at how easy this is and tasty! Serve it with roasted potatoes and salad. Mmm, mmm good! might try this coming up weekend.. sounds really good. I’ve brined before.. but never by adding sugar AND salt. Always just salt. Hmm…. Going to have to give this a try. Kind of wish I had read this yesterday though, because I want it now. I’m going to try this for sure. Thanks! 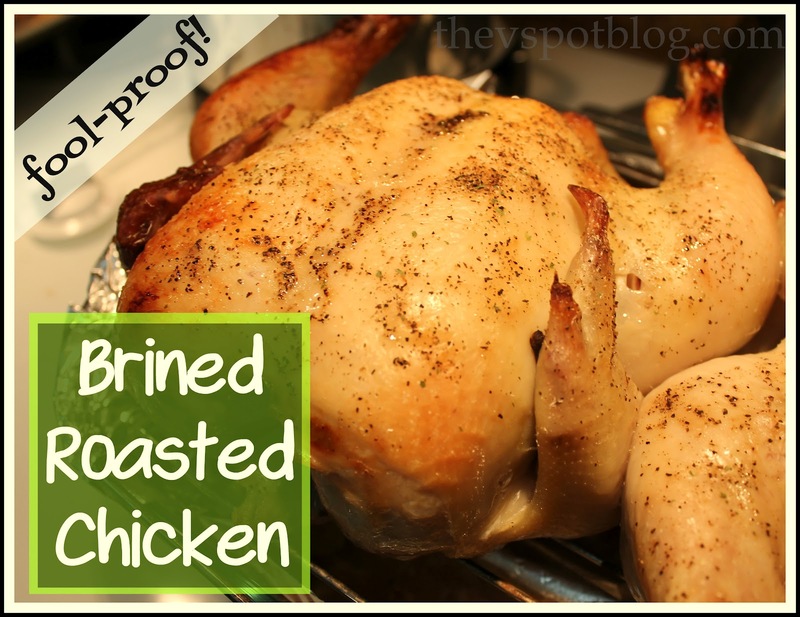 I have to say, I have been following your blog & just love it-especially your Halloween stuff:) I would like to try this recipe, but hate cutting up a whole chicken…ugh–so I could use this recipe with a quartered chicken..right? Can I do this with pieces of chicken or do I have to cook a whole chicken? Hi Sue – you can do it with pieces of chicken. I need a rule of thumb to brine 2 lbs of chicken. How much salt in how much water and soaked for how long? If you did this with a turkey, woukd you still baste it? The Circle Sandwich. My family’s preferred way to use up leftovers. Chicken Chili: My favorite easy, yummy “go-to” meal. Easy, make ahead Baby-back Ribs… just in time for your summer BBQs.